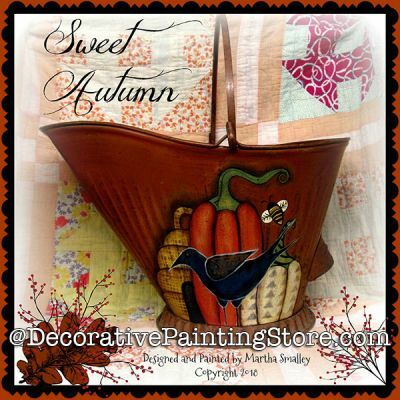 Pumpkins and crow painted on vintage coal bucket or your choice of surface. Embellished with stencils. Pattern includes photos, instructions, line drawings.